If seeing some of the most amazing animals in their natural habitat is your idea of an Indian holiday, you have arrived at the right place to take you call. Whether you prefer luxury camps or jungle lodge, there are plenty of options to choose from when it comes to wildlife holidays in India. Wildlife in India is huge and diverse. There are rhinos, tigers, lions, elephants, bears and even snow leopards stalking the upper ridges of Himalayas. If you are into bird watching, the possibilities are immense with the subcontinent recording over 1250 species of birds. With home to 88 National Parks and 500+ wildlife sanctuaries, you are spoiled for choice while planning wildlife holidays in India. The most difficult decision to take is where to go for wildlife vacation in India considering the geographical enormity of the country. How should I plan my wildlife vacation in India? The first thing to consider is your interest. Answering questions such as whether I want to see the tigers or the lions, or I want nature, adventure and wildlife in a single package, or I want a luxurious wildlife safari experience, or I want to do elephant safari and not the usual jeep safaris could go a long way in saving you the hassles of tour planning in India. For best experience of elephant safari in India head to Bandipur National Park in South India. In North short elephant rides are possible in Ranthambore, Kaziranga and Jim Corbett national Park. If you are wondering where to go birding in India, Periyar and Kumarakom in South and Keoladeo National Park in North are ideal place to go for wildlife vacation in India. The timings of various national parks vary according to season and other local factor. Do check out the safari timings of the national park or wildlife sanctuary you are visiting. Safari timings in most of the wildlife sanctuaries and national parks in India are available in 2 shifts; one in the morning and one in the afternoon. National Parks in India are located all over this vast country. Although most of them are well connected by road, rail or air, it is always advisable for you to know how to reach the place, it’s location and the weather and other factors such as festivals, events or season that might keep the park close. Every national park in India has a different fee structure and other mandatory charges such as camera fee, guide fee etc. Do check them out from either official site or a frequently updates site to avoid any last minute glitch or explanation for the money paid by you. Yes! There’s always a best time to visit a national park or a wildlife sanctuary in India. Winter months from November to March are considered the best because of favorable weather. But as opposed to popular belief the best chances of spotting tigers in wild is from March till June when the weather is scorching. For birding winter months are ideal time to plan your wildlife vacation in India. However if you are interested in winter vacation check out some of the best places to travel in winter in India. Where to go to spot Asiatic Lions in India? Gir National Park is the only protected area in Asia where one could spot Asiatic Lions in their natural habitat. It is located in Junagarh district in Gujarat. 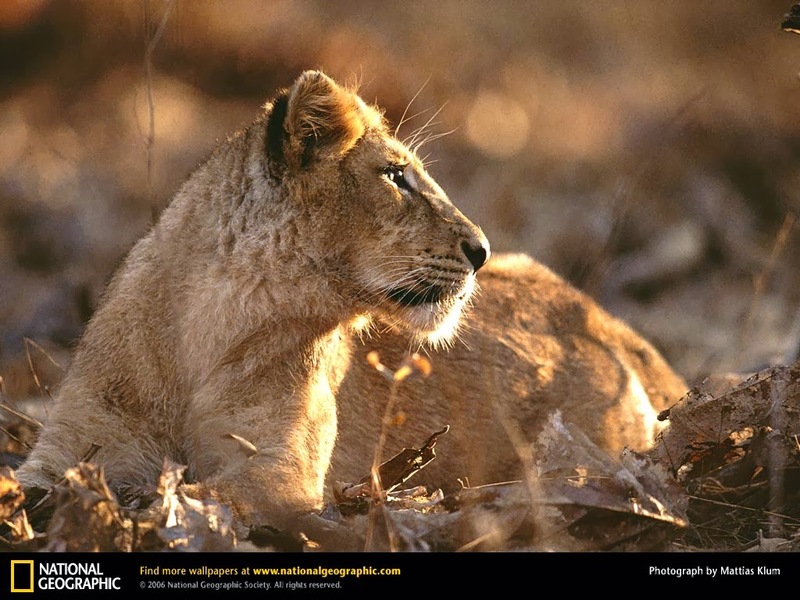 A succession of rugged ridges, isolated hills, plateaus, dry scrub land and open deciduous forest characterize the topography of Gir National Park, the last natural habitat of Asiatic lions. 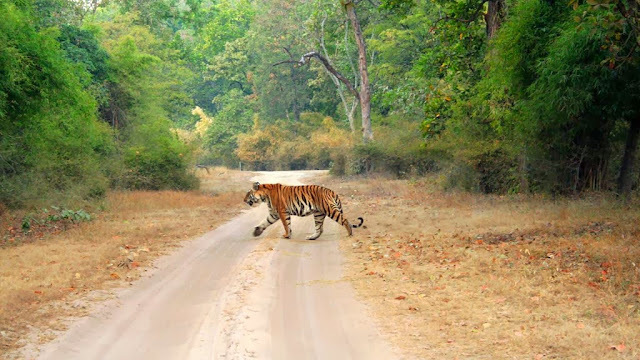 The overwhelming presence of the big cat diverts the attention of the visitors from the remarkable bird population which even caught attention of great ornithologist Dr. Salim Ali. There are over 32 species of mammals, 300 species of birds and 26 species of reptiles present in this national park in India. 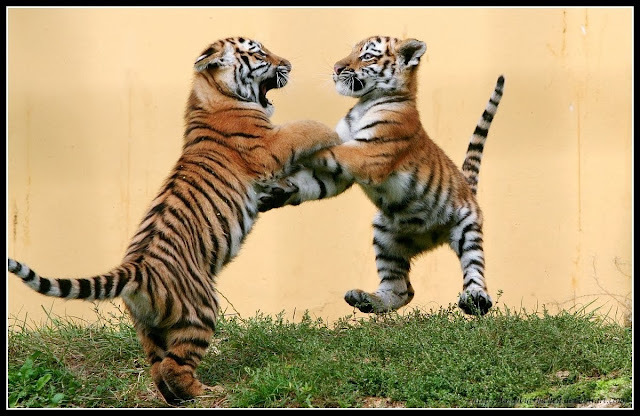 Which are the best places to spot tigers in India? Ranthambore National Park is one of the finest wildlife sanctuaries in India located in Rajasthan. It is well known for its friendly tigers and is one of the best national parks in India to see these majestic predators in the jungle. Tigers can be easily spotted even during the day time. A good time to visit Ranthambore National Park is in November and May when the nature of the dry deciduous forests makes sightings common. Its deciduous forests were once a part of the magnificent jungles of Central India. The park is also home to one of the UNESCO inscribed World Heritage Sites in the category of hill forts of Rajasthan. This National Park in India has a large breeding population of Leopards, and various species of deer. Maharaja Martand Singh of Rewa captured the first white tiger in this region in 1951. This white tiger, Mohan, is now stuffed and on display in the palace of the Maharajas of Rewa. Bandhavgarh has the highest density of Bengal tigers known in the world, and is home to some famous named individual tigers. Charger, a tiger so named because of his habit of charging at elephants and tourists and a female known as Sita, who once appeared on the cover of National Geographic are considered to be the most photographed tiger in the world. Although Bandhavgarh and Ranthambore are more popular among tourists planning wildlife holidays in India, Tadoba surprisingly is way ahead of competition when it comes to tiger spotting in India. It’s a blessing in disguise, both for this wildlife sanctuary as well as visitors. Tadoba National Park is for those who prefer relatively unknown, off the beaten path, tourist-free national park and Tiger reserve for their wildlife vacation. The most recent census, carried out in 2012, found that the Tadoba is home to 69 tigers which means a visit to this park is more about how many tiger will you spot rather than will you spot any tiger at all. 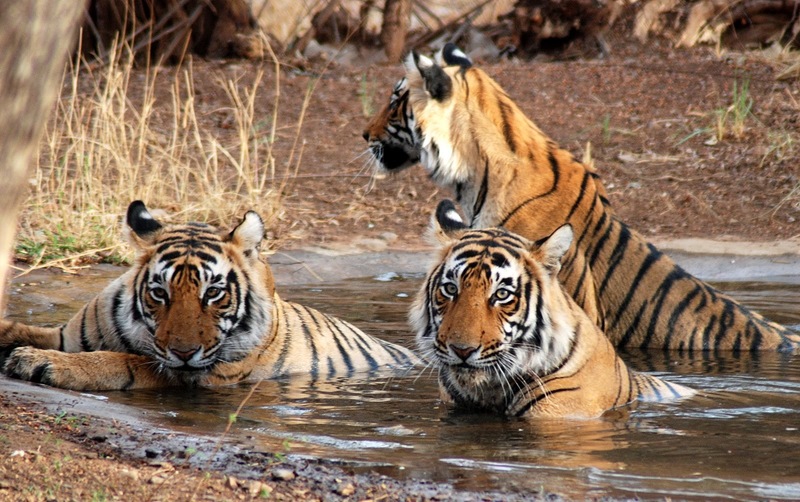 Read more about Tadoba National Park. And if you are in Maharashtra, you may also want to visit Ajanta Caves nearby. Caves at Ajanta has been inscribed as World Heritage Site by UNESCO owing to their immense cultural value. Where to go birding in India? It’s has a bloody history as far as birds are concerned. 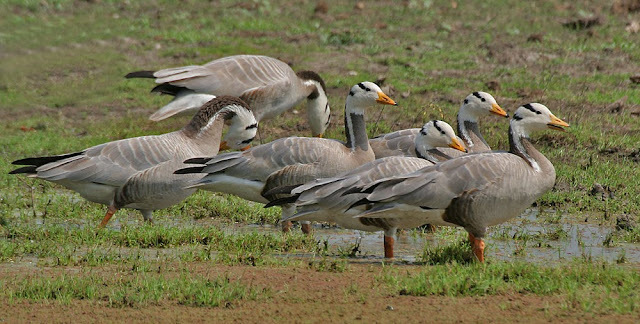 Keoladeo Ghana National Park or the Bharatpur Bird Sanctuary was initially developed as a site for duck shoot. It was organized by the maharaja of Bharatpur to honor the British Viceroy of India for the first time in 1938. More than 4000 birds were shot during the inaugural duck shoot organized to honor Lord Linlithgow, the then Governor-General of India. But now turned into arguably the India's finest bird sanctuary, Bharatpur Bird Santuary is one of the best places for wildlife photography in India. The diverse habitats of Bharatpur bird sanctuary are home to 366 bird species, 379 floral species, 50 species of fish, 13 species of snakes, 5 species of lizards, 7 amphibian species,7 turtle species, and a variety of other invertebrates. Every year thousands of migratory waterfowl visit the park for wintering breeding etc. The best time to visit Bharatpur Bird Sanctuary is from November till March when the rare migratory bird species arrive in the park. Dense moist deciduous forest mainly consists of sal, haldu, pipal, rohini and mango trees, and these trees cover almost 73 per cent of this national park in India. The 10 per cent of the area consists of grasslands.It houses around 110 tree species, 50 species of mammals, 580 bird species and 25 reptile species. The endangered Bengal tiger of India resides here. The sanctuary was the first to come under Project Tiger initiative. Located just 16 kilometers from Mysore, Ranganathittu Bird Sanctuary is one of the most visited sites for birding in South India. This bird sanctuary comprises six islets on the banks of the Kaveri River. Most of the birds – Black Necked Staork, Painted Storks, Ibises and Egrets - stay on tiny islands within the river, which you can approach by boat. However, the river is also home to a few crocodiles, so don't jump in for a swim! Kaziranga National Park is a national park in the Golaghat and Nagaon districts of the state of Assam, India. A World Heritage Site, the park hosts two-thirds of the world's Great One-horned Rhinoceroses. Kaziranga boasts the highest density of tigers among protected areas in the world and was declared a Tiger Reserve in 2006. The park is home to large breeding populations of elephants, wild water buffalo, and swamp deer. Silent Valley National Park is perhaps the best kept secret when it comes to wildlife in India. It is located in the Nilgiri Hills, Palakkad district in Kerala and is a part of Western Ghats World Heritage Site as inscribed by UNESCO. This national park is home to over 20 endangered species of birds as well as the threatened lion-tailed macaque. Over 34 species of mammals reside in this last undisturbed tract of natural rainforest in India. The chances of sudden rain are always there when you visit this park, but for a nature enthusiast any day is a good day for a walk in the wilderness and silence of Silent Valley surrounded by evergreen forest. If you are planning a visit advance reservation is necessary as there are not many accommodation options available nearby except for the Inspection Bunglow. Food is only available at local hotels in Mukkali, the nearest town to this park. Which are some endangered species in India and where to find them? One of the endangered species that is found in India is the Great Single Horned Rhinoceros. 2/3rd of the world’s single horned rhino population lives in Kaziranga National Park in Assam. Yet another endangered animal species found in India is the Asiatic Lion. Gir National Park in Gujarat is the only habitat in the entire world where these big cats are found. Then there are the rare and elusive Snow Leopard which could be seen prowling - if you are lucky - in Great Himalayan National Park in Himachal or the Hemis National Park in Ladakh. Is there any National Park in India where I could go during Monsoon? Yes! Periyar National Park in Kerala is the only wildlife sanctuary in India which is open to visitors even during monsoon. It has substantial population of tigers, elephants and numerous bird species. Apart from tailor made wildlife itineraries and pre-packaged tour, there are other ways – and definitely more luxurious – to explore the Indian wild. Several luxury trains include a wildlife safari in their itineraries but almost all of them halt in Sawai Madhopur in Rajasthan which is home to Ranthambore National Park. 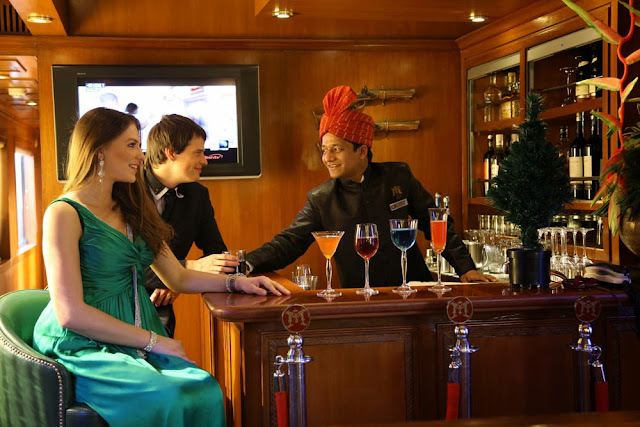 The most affordable luxury is offered by the Palace on Wheels train with 7 night itinerary starting from USD 3640 per person on triple sharing basis. The most refined and luxurious way to travel to Ranthambore National Park is to get on board Maharajas’ Express. Voted World’s Leading Luxury Train at World Travel Awards for 2 years in a row, Maharajas’ Express is the most exclusive and luxurious rail ride in the world. Maharajas’ Express Gems of India itinerary spanning over a period of 3 nights and 4 days travels to the famed golden triangle tour circuit of India. This rail journey also includes an excursion in Ranthambore National Park along with visit to Jaipur, Agra and Delhi. The journey starts from USD3850 per person for Deluxe Cabins and goes as high as USD 12,900 for Presidential Suite. No one packs the punch better in a single package (or even individual visits) as does the Taj Group. A sensible mix of adventure, responsible tourism and luxury, Taj Safari epitomizes the sustainable model of wildlife vacations in India. With Luxury Taj Safari, Wildlife lovers and guests get to enjoy luxurious accommodation, expert &Beyond trained guides, exceptional hospitality, romance and sumptuous regional cuisine with minimal carbon footprint and sustainable alternatives. Taj Safari is a joint venture with &Beyond, Africa’s most comprehensive safari operator and an ecotourism company and the Taj Hotel Resorts and Palaces. Even if you are not planning a go for a comprehensive package like Taj Safari and want to visit one on your own but in as much luxury as possible, there are ways. 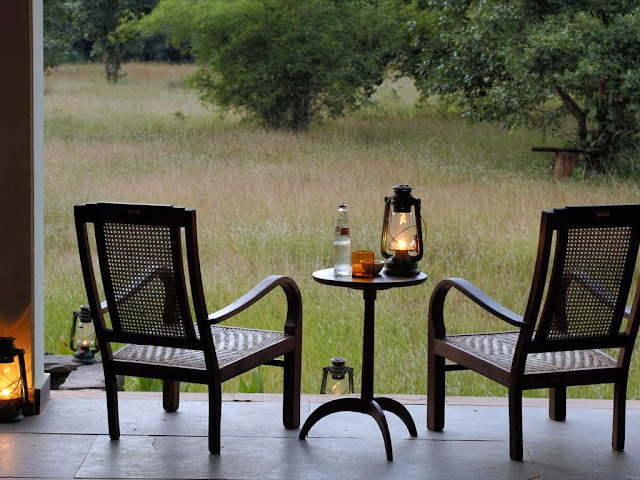 Serene and tranquil through the day while exciting and stimulating at night, the wilderness camp of Aman-i -Khás in Ranthambore is as luxurious as an eco friendly jungle camp could get. Besides, they also offer nature and wildlife safaris twice in a day as well as services of trained naturalist. Yet another of the finest jungle resort is the Bison situated at the confluence of the Bandipur and Nagarhole National Parks. Offering spectacular sight of the jungle, Bison is located on the edge of the wild on the shores of the Kabini River in Karnataka. At Bison, guests are also offered the service of skilled naturalists, starry night boat rides, sun downer cocktails and dinner in a wilderness setup. Even if you don’t spot a tiger, a stay at Bison makes up for more than that. And that is the reason why we stress that wildlife vacation is a good option for the ultimate romantic vacation ideas in India. So it’s your turn now!Are you are game?